These Bicycle Playing Cards feature unique 1950's designs and trivia questions. 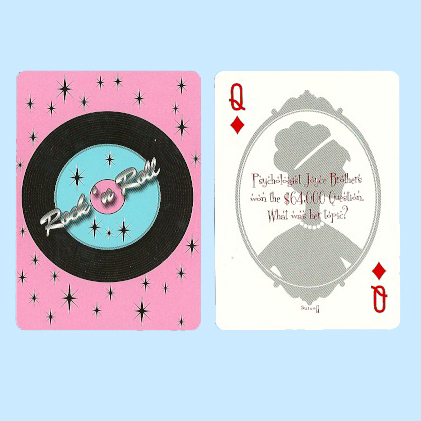 Each Bicycle 50's Playing Card Deck contains cards with different questions and answers about pop culture in the 50's. For more information or volume pricing on Bicycle Decades Playing Cards, please contact us at 1-800-233-0828.